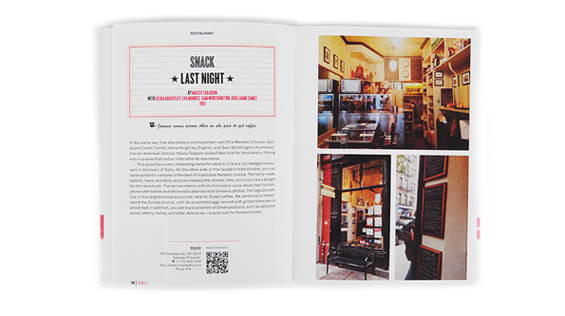 This illustrated guide is completed by QR (quick response) codes to see all the film trailers, taking the reader to bars, restaurants, hotels, boutiques, galleries and theatres that have been used in films. 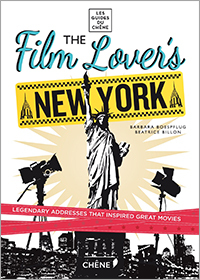 Published in March 2014, this 160 page guide contains a selection of New York addresses, offering a unique experience in connection with some of the most famous New York films, from animations such as “Madagascar” to classics “Breakfast at Tiffany's”, “Tootsie”, “The Godfather”, the chosen locations are presented by NY neighbourhoods and include famous monuments such as the Empire State Building and the Brooklyn Bridge as well as lesser-known places including restaurants, pubs, museums and monuments. Colour throughout, this illustrated guide is completed by QR (quick response) codes to see all the film trailers, of which can be view with a tablet or smartphone. It also has the full location address with subway references, telephone numbers, website address and a star rating. 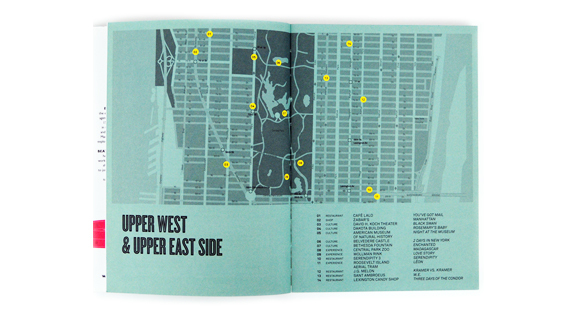 There are also useful maps with grid references and numbered indexes for the Upper West and Upper East Side, Midtown, Chelsea, Union Square, West Village, Tribeca. Nolita, Lower East Side, Lower Manhattan, and Brooklyn. otsoNY Comments: This book doesn’t know if it wants to be a tourist guide book or a film location book, though it doesn’t matter too much as it fails at both. 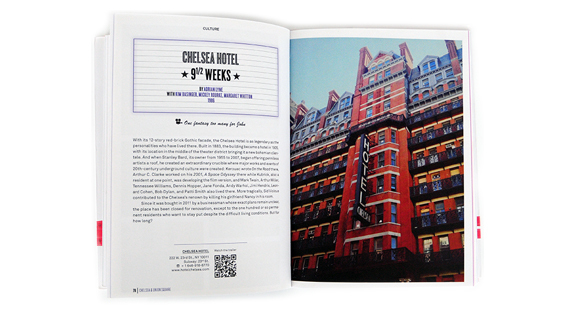 With an incredibly dull layout and washed out eighties-style photos, this pocket-size book falls short on every level, and perhaps that is due to it being far too personal to its two authors, who have obviously toured areas of New York and thought it might be a nice idea to showcase their holiday snaps. There are half-hearted references made to New York films but without any screen shots, and instead relying entirely on the film title. The grey-coloured maps are displayed on pastel colour backgrounds making it almost impossible to read the street names and the choice of films lack any originality.